Belenos Therapy has created a new range of natural skincare products designed to repair, protect and nourish your skin in the most natural way possible. Hand made using only the finest Cold Pressed Fruit oils and Butters. Everything we make is always free from all Parabens, SLS, SLES and Petrochemicals. Kind and Gentle and are suitable for even the most sensitive of skins. Facial serums & Oils can give the skin added moisture and boost the appearance of sluggish skin. Serums and oils are perfect when you need nutrients to reach deeper layers of your skin that a regular moisturizer is not able to reach. You can apply the serum after your toner and before your moisturizer,but in some cases a moisturizer is not needed as there is plenty of natural concentrated ingredients present to regenerate and moisturize. A natural facial oil with a pure mix of cold pressed & unrefined oils that are packed with natural antioxidant vitamin A, B, D, E & fatty acids. Rosehip Seed Oil is extremely rich in vitamins A, B, D, E & Fatty Acids. Perfect amounts of natural Vitamin A, which helps to delay the effects of skin ageing. Ideal for use around the eyes to reduce the appearance of wrinkles, and the face for reducing acne or other scars & irregular skin pigmentation. Whilst the addition of Avocado oil that penetrates the skin more deeply than other oils allowing it to transport nutrients through the outer epidermis of the skin and into the dermis for increased effectiveness therefore making it great facial oil for all skin types, and is especially kind to mature, sensitive or troubled skin. We have added pomegranate seed oil for its nourishing and moisturising qualities that will improve elasticity help reduce wrinkles and preventing aging. It is also high in lipids, including Pucinic Acid, which help heal inflammation and reduce swelling. A perfect mix for those whos skin is in need of extra TLC. An ideal blend to give protection against the elements, especially in cold and dry weather conditions.Helps to repair damaged and tight skin conditions.Helps skin maintain resiliency and soothes and renew. Also beneficial for those with rosacea, eczema, rashes and dry, dull skin. Plum Kernel Oil - A oil rich in anti-oxidants and natural vitamin E to help repair and condition the skin and play a part is restoring the natural balance that may be lost due to drying of the skin. There is no doubt that this oil is pure indulgence..A beautiful light bath and body oil which is designed to leave this skin in tip top condition. Carefully blended with pure and precious Frangipani oil which is an exotic oil that can helps promote inner peace and tranquility. It doesn't take much time or money to ensure your skin is kept in tip top condition..in fact many of the cold pressed oils found at Belenos Therapy have multiple uses from treating face and hair to nails and cracked heals.You maybe surprised to know that one bottle of 100ml Rosehip seed oil can treat so many different areas and skin complaints. Our skin is the largest organ in the body absorbing up to 60% of what is applied so this means that most of what you put onto our skin is absorbed.Our skin is designed protect and it is first line of defence against bacteria and virus. We have all experienced at some point tight dry skin. Usually after sleepless night, too much stress over indulgence or due to to much alcohol. Since the skin is the biggest organ it becomes dehydrated...its a large thirsty organ.You can reduce this by reducing your daily intake of white sugar refined foods and fizzy drinks. Avoid leaving make up on at night and try and get a couple of days a week where you don't apply any make-up..leave your skin free to breath. And always ensure you have clean pillow cases. Food can act as a great source to balance to your skins appearance ..the brighter the fruit the better caretonoid-rich foods such as carrot juice and tomato will enhance the quality of your skin. Oils such as Avocado Oil, Hemp seed ,Evening primrose and Olive can be excellent for dryness and dull skin. Use them as part of your skin care routine or increase their use in your diet. Although sometimes we overload by externally consuming too much, which can have a damaging effect on our skin we are often using skin care products that are damaging too and we don't even realise. If you have always used high cost high end products you may find it difficult to believe that for under £15.00 you really can get exactly what you need to promote healthy glowing skin.Changing from conventional products to natural benefits can have wonderful effects on some users skin and once they have tried the natura way there is no other way,some will not experience any changes but for as little as .£13.20..is worth a try! There are 3 main natural products that are needed. 1. Water - your skin needs water.Ensusre your are always hydrated inside and out. 2.Cleansing - you don't need fancy brands you can use a natural floral waters. 3.Moisturise - Using Natural Rosehip seed oil as a moisturiser is the best pure oil you can give your thirsty skin. It is contains not artificial chemicals or fragrance and is perfect for fine line,delicate eye area. You can even use it to condition your dry hands and condition nails. As well as bringing back some of our favourite essential oils we have some new and exciting essential oils for you to try. Ambrette seed Extract is back. Also known as muskmallow or muskseed. Used as vegetable alternative to musk in aromatic blends. Has a sweet musky aroma and, being a very pure CO2 extract, has great aromatic clarity. Can be used to help lift the spirits help with nervousnous and muscular aches and pains. Something new Fragonia Essential Oil Fragonia is distilled from a small shrub found on the south coast of Australia commonly called ‘coarse tea-tree’ . It is said that Fragonia oil can help with emotions, bringing peace and calm. Has balancing properties and can be used in aromatherapy for pain relieving massage.Its Topically applied its antibacterial properties may aid in the healing of cuts, bites, stings and minor burns. Makes a beautiful oil for burning in a vaporiser in the home. Frangipani Absolute back in stock A sweet with subtle fruity notes with deep, richly intense floral tones.Beautiful blended as a perfume oil to use alone or for a more exotic and sensual mix add along side jasmine. Marigold Absolute./ Calendula Absolute known for its soothing action makes it ideal in creams, oils, and powders for babies. Useful for babies bottoms (dilute 1% well in cream). Can be used in insect bite preparations. Every oil now carries a label with ALL the information you need to use your oils safely. The normal and usual information about Origin & Batch are listed but each oil will also include skin suitability,a complete chemical breakdown and the maximum use in blends..some will also include handy tips and advice. Our featured Essential Oil this month is Bergamot.. There are two types of Bergamot - one is a beautiful herb known as Monarda didyma,which produces stunning orange scented dark red and purple flowers and mae a great ground cover plant in a herb garden,and the other is Citrus aurantium var. bergamia (also known as C. bergamia), of the Rutaceae family and is also known as Bergamot orange. Bergamot Orange can can grow up to four meters high, with star-shaped flowers and smooth leaves, bearing citrus fruit resembling a cross between an orange and a grapefruit, it is from the rind of both ripe and unripe fruit that the oil is extracted. Pure Therapeutic Bergamot oil has a wonderful, rich, sweet-tart aroma. Bergamot is a firm favourite with aromatherapist and within the skin care industry as its an ideal essential oil for creating a relaxed and happy feeling, its a balancing oil for oily skin, can give the skin a healthy glow and can help combat acne and that very important factor help help fight wrinkles. Bergamot also blends well with most other essential oils such as geranium, jasmine, mandarin, nutmeg orange rosemary, sandalwood. And works well as a burning oil to help with feelings of sadness,the effects of colds and flu, PMS and SAD. The only problem with Bergamot essential oil is that it is phototoxic - which means that if you have it on your skin when out in the sun, or on a sunbed, it will cause pigmentation of the skin. Although we sell Bergaptene-Free Bergamot oil for use in skin care, massage oils, it is still advisable to keep skin out of the sun. Every oil now carries a label with ALL the information you need to use your oils safely.The normal and usual information about Origin & Batch are listed but each oil will also include skin suitability,a complete chemical breakdown and the maximum use in blends..some will also include handy tips and advice. We have a range of Handmade and Unique Gifts to make your Mun feel extra special this year. Try our range of Reed Diffusers which are naturally fragrance's using pure essential oils.or some beautiful ski care that is suitable for most skin types and packed with wonderful natural fruit and cold pressed oils. We have combined a great rage to choose from and whats more you can find that perfect gift for under £10.00 Including postage. Same day dispatch available on most products. Our Unique Hand poured Reed diffusers are a safe, pleasant and natural alternative to nasty plug-ins and air sprays, whilst out Soy Candles are a eco-friendly way to enjoy some of the best natural fragrances. Allow the rich aroma of Egyptian rose transport you to the ancient roads of Cairo. Bring the stunning scent of white jasmine into your home with this enchanting fragrance candle. 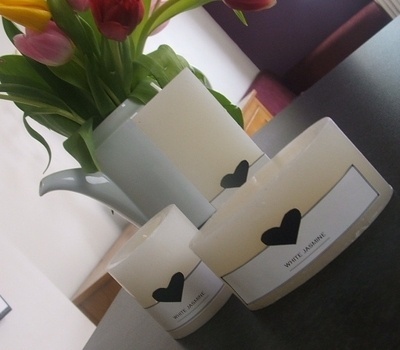 An elegant exotic sweet-scented Candle which creates the perfect mood for stylish relaxation. An easy to follow and make body sugar scrub idea. and 4- 5 drops of Lavender essential oil. Slowly mix the Argan Oil into the sugar slowly, stir to keep the consistency smooth. Add 4 drops of Lavender essential oil. You may also want to add additional ingredients to your scrubs like clays or aloe vera for its skin soothing properties or a small amount honey to improve the texture or your scrub. Dispense into sterilised PET or Glass Jar. You can customise this recipe with any other skin loving cold pressed oils and essential oils However we do NOT recommend using "fragrance oils" they are chemical loaded irritants that have no benefit for your skin.. other than to make you smell like a cherry a chocolate bar or even an Christmas alcoholic drink!! They can cause irritation or even allergic symptoms that can cause lasting skin damage. Always use essential oils which are true plant oils expressed by pressing or by steam distillation from the actual plants. Store in a cool place or refrigerate and keep for no more than 3 weeks. Don't forget no preservative have been used so if it looks or smells funny - make a new batch. The above recipe is for personal use only and if you are making any scrubs or other cosmetics to sell or to give away to family and friends remember to ensure they are covered by a current safety assessment. Argan oil has some wonderful natural properties and can be used on most skin types,especially for those who's skin is mature and in need of some nourishment. With anti-ageing and restructuring properties coupled with a high Vitamin E content make it a wonderful skin and haircare product. Cosmetic argan oil stimulated the blood circulation. It hydrated and revitalise the skin. Often found in expensive skin care. It helps to moisturise your skin. can help repair and strengthen nails and soften cuticle. Safe for all ages and all skin types. This oil has antimicrobial properties, making it great for the skin and lesions. This product is easily absorbable by the skin. Because it does not contain any cholesterol, it does not leave any residue. When applied regularly, it will reduce and prevent stretch marks from appearing on the skin’s surface. Argan oil regulates and keeps the pH balance of the skin normal. It reduces skin inflammation and can help several skin disorders such as eczema and psoriasis. It is also effective in helping to eliminate scars produced from chicken pox and burns. Great for hair care too! Ideal as a serum to moisturise dry and frizzy hair instantly upon application. Can restore shine in dull-looking hair. Because this oil is light, long-lasting, and known to be an oil with low acidity and high stability, it is easily absorbed by the skin. Cab help alleviate symptoms of rheumatoid arthritis. Can help to relieve muscle cramping and restless leg syndrome. This month we are giving away 100ml Argan Oil - see our competition page for more details. If you've made a conscious decision to care for your skin the natural way then you will find Belenos Skin Botanique has a range to suit your needs. At Belenos Skin Botanique we are committed to producing high quality natural skin care which delivers results you can see and feel. We have carefully selected the finest,highest quality naturally derived ingredients available. We use natural and effective fruit oils,exotic butters and pure and precious essential oils from around world. Our products are formulated to balance restore and strengthen skin. Every ingredient has a purpose. Formulations that are designed to help skin conditions. Established in 2003 specializing in Handmade essential oil soaps and bath products. We quickly realised that there was a need for natural bath & skin care products available online at reasonable prices. This prompted us to move into offering a stylish range formulated using natural botanicals,essential & absolute oils.